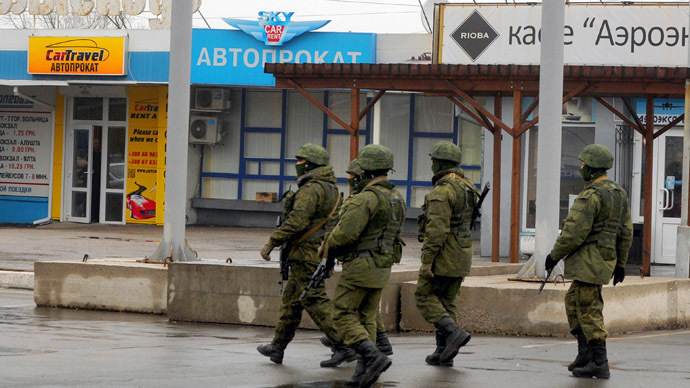 The autonomous republic’s self-defense forces have met with Ukrainian soldiers who wanted to return to Belbek Sevastopol International Airport. The sides entered into long negotiations, which ended with a peaceful agreement. 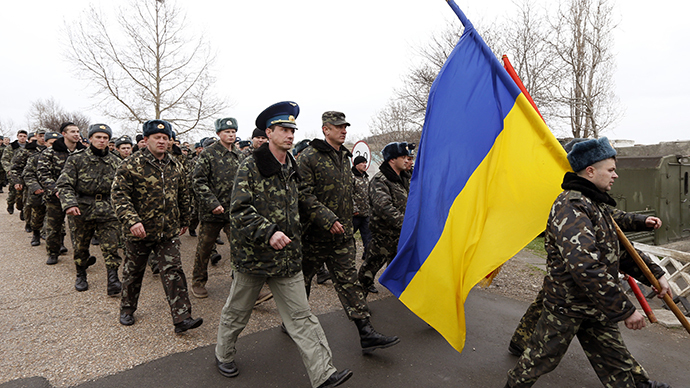 Nearly 50 soldiers from the Ukrainian army singing the national anthem and brandishing the Ukrainian flag came to Belbek airport at about 09:00 local time (07:00 GMT). They were keen to continue their service on the airport’s territory. After self-defense squads’ fired several warning shots in the air, both sides started negotiating. "You are deliberately provoking us," one of the members of the self-defense forces told Ukrainian soldiers. 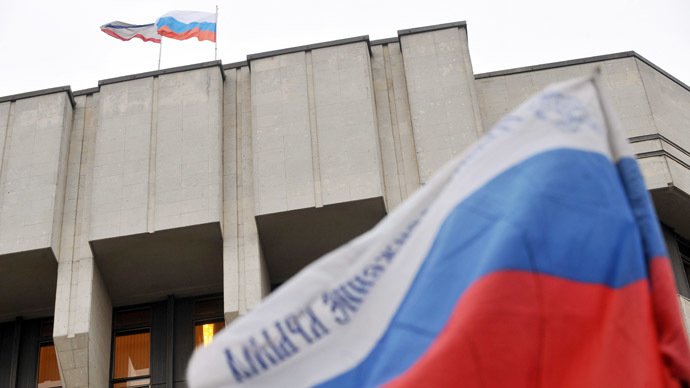 The conversation was broadcast by Crimean ATR channel. "How are we provoking you? We have no weapons," the Ukrainians responded. After the negotiations, nearly 10 airport military personnel, including several servicemen, signalmen and dispatchers, were permitted to stay on the territory of the airport to help ensure safety of the premises. “The negotiations involved a lot of give and take, and the self-defense squads agreed to our demands but on certain conditions,” Colonel Yury Mamchur from the Ukrainian forces told the journalists at the scene. The self-defense squads have been patrolling the grounds outside the airport since February 28. 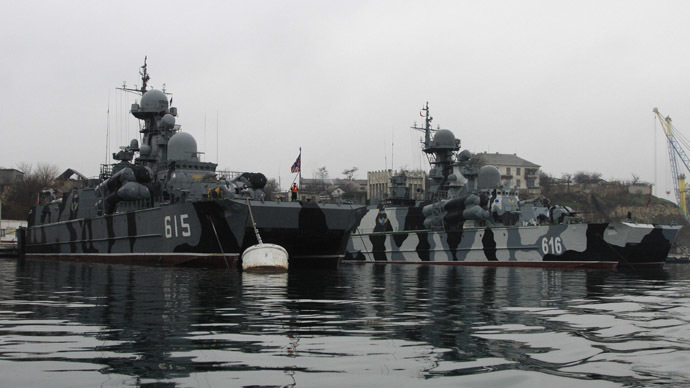 They were helping to ensure safety and prevent possible turmoil in Sevastopol and throughout the whole of Crimea. 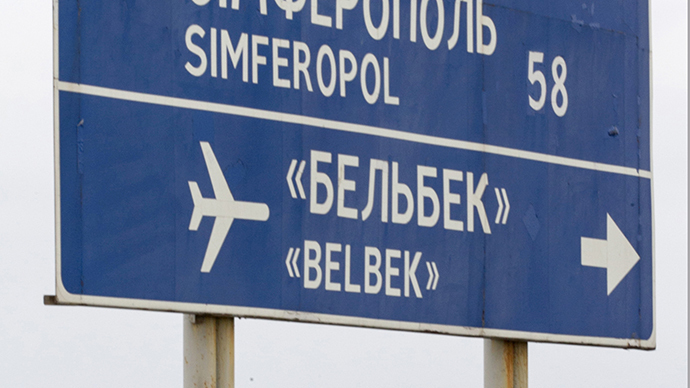 Belbek Airport hosts 45 MiG-29 fighter jets and 4 L-39 training jets. However, only four fighters and one training aircraft are currently operational. 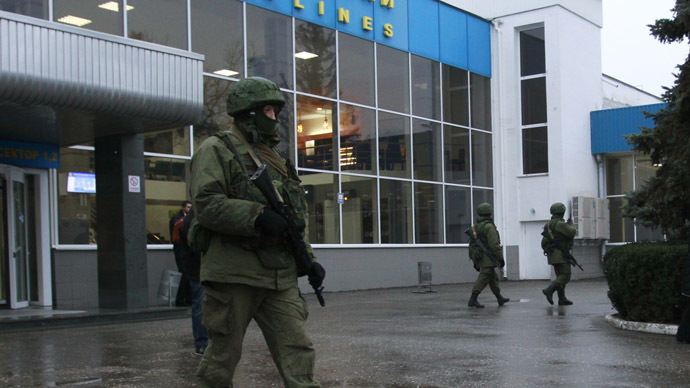 While most of the airport is patrolled by the self-defense squads, storage facilities with weapons and ammunition are still controlled by Ukrainian military forces. The Crimean authorities have denounced the self-proclaimed government in Kiev and declared that all Ukrainian law enforcement and military deployed in the peninsula must take orders from them. Many units within the national armed forces have started joining up with the pro-Russian Crimean government and the locals who organized self-defense against right-wing radicals. Recently, the commander of the Ukrainian navy and most of the military stationed in the peninsula took new oaths. This brings the total number of troops who've reportedly switched sides to nearly 6,000 in the last two days. Among those pledging allegiance to Crimea is Rear Admiral Denis Berezovsky, who was appointed by Kiev last week as chief of the Ukrainian Navy, but swore to serve the people of Crimea on Monday. Crimeans began protesting after the new self-proclaimed government in Kiev introduced a law abolishing the use of other languages for official purposes in Ukraine. More than half the Crimean population is Russian and uses only this language for their communication. The residents have announced they are going to hold a referendum to determine the fate of the Ukrainian autonomous region.